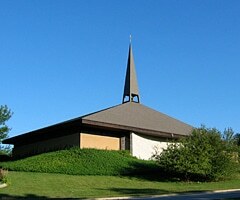 All Masses are held in St. Margaret Mary Church. Children’s Family Masses are generally the 4th Sunday of the Month at 11:00 AM from September through May, but there are sometimes exceptions (November due to Thanksgiving and Advent). Heading Out of Town and Looking for a Church? Click here to be redirected to parishesonline.com, which offers a variety of search criteria for finding a Catholic church on the road, as well as providing a map and mass times. Children’s Liturgy of the Word: A special Liturgy of the Word is offered to children (Grades 1 to 3) during the Saturday evening 4:30 PM Mass. Communal Services in Advent and Lent. Also by calling a priest for an appointment. Click here our special Eucharistic Adoration page.